1. What do you want your horse to be? When I first started working with horses I did not know the difference between a loyal soldier and a willing partner? 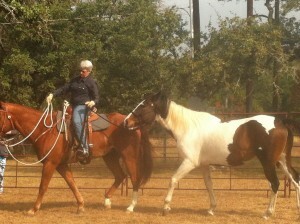 The more I worked with horses the more I realized each had their own individual needs and desires. My mule, Tess, was very willing to teach me what she needed from me. I found out I wanted a horse to work with me not for me. 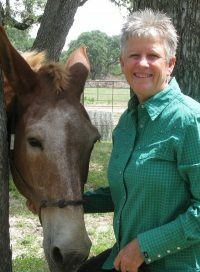 Temperament typing has helped me understand how to relate to my horses and help others do the same with theirs. I wish I had understood more about temperament typing when I was working with my past horse matches. It took a couple of tough mules who refused to be loyal soldiers to teach me that willing partnership was possible and so much better for me and the horse. This entry was posted in Five Element Personality Typing, Newsletters on October 16, 2017 by Madalyn Ward, DVM.